ob. sessed. that is o-b-s-e-s-s-e-D! 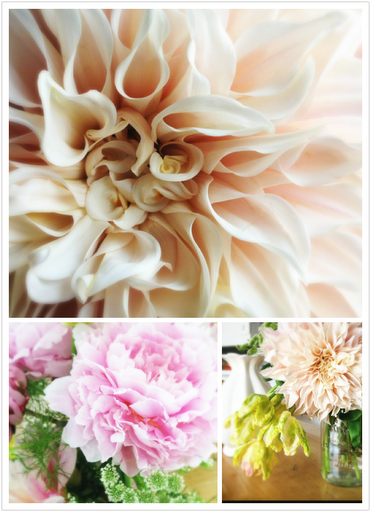 this week my friend addie brought these amazing dinner-plate dahlias back to the office from the mart. it was instant love. the shape, the texture and that peachy-pinky-barely-there-COLOR! it just melts my soul. pretty flowers can make any day a better day (not that i was having a bad day)…the day just gets even better in the presence of pure, simple beauty. the real beauty, not the fake dressed up, made-up, pseudo kind of beauty…but the kind that comes naturally. GUSHING! can you even handle it? (see not all posts about baby…hahahaha).